We offer many different types of promotional signs. These signs are great if you want to stand them on the street, or use them at any promotional event. All are easy ways to advertise your business by using eye-catching graphics. Below are some different types of promotional signs we offer. If you do not see what you want here, email and ask us. Chances are we will do it as well. 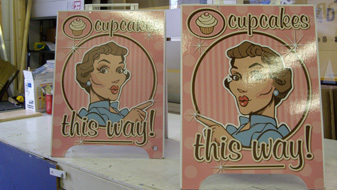 Sandwich Boards are great, portable signs that can be used indoors or outdoors. Perfect for the sidewalk in front of your business. We can customize your sandwich board to any shape or style. 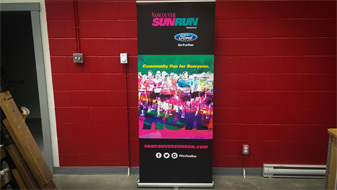 Signmaster Signs can make banners any size or shape. 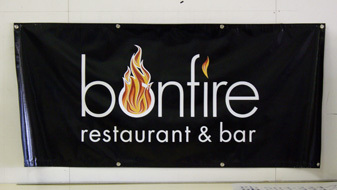 Your graphics can be printed on fabric, mesh, or solid banner stock and finished with grommets, sleeves, ect. 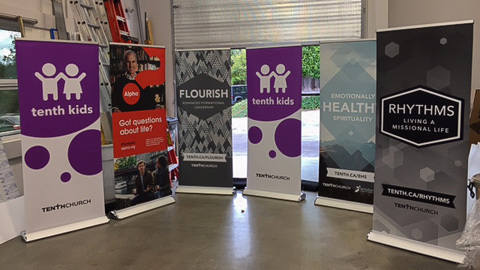 Rollup Banners are a great type of portable signage. You can set them up wherever is needed, whether it is in your place of business or next to your booth at a trade show. There are various sizes available and they all come with there own carrying case. Pop-up tents are good for indoor and outdoor events. 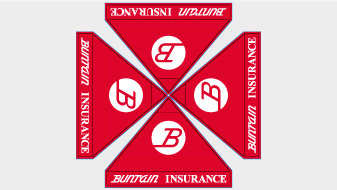 Your advertisement is printed on all four sides of the roof and valence. In addition, walls can be printed and supplied. Media Backdrops are great for covering large spaces, such as the back of a stage. 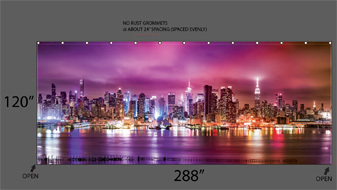 With your custom digital print, these backdrops can be made to just about any size. 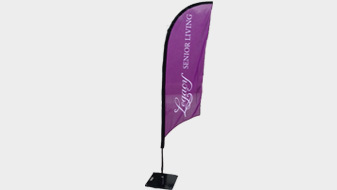 Flags are an eye-catching form of advertisement available in many different sizes and styles. They have multiple mounting options, and they can collapse into a case for simple transportation.